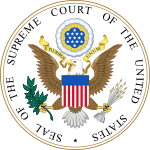 The 2009 term of the Supreme Court of the United States began October 5, 2009 and concluded October 3, 2010. The table illustrates which opinion was filed by each justice in each case and which justices joined each opinion. Decisions that do not note an argument date were decided without oral argument. Decisions that do not note a Justice delivering the Court's opinion are per curiam. Multiple concurrences and dissents within a case are numbered, with joining votes numbered accordingly. Justices frequently join multiple opinions in a single case; each vote is subdivided accordingly. An asterisk ( * ) in the Court's opinion denotes that it was only a majority in part or a plurality. An asterisk in a joining vote denotes that the justice joined it only in part. A dash ( - ) denotes that the Justice concurred or dissented without filing a separate opinion. This was the fifth term of Chief Justice Roberts' tenure, the first term for Justice Sotomayor, and the last term for Justice Stevens. Opinion counts only include the bench opinions listed above; opinions relating to orders or in-chambers opinions are not included. Agreement with the Court's judgment does not guarantee agreement with the reasoning expressed in its opinion. A justice is not considered in agreement if they dissented even in part. Agreement percentages are based only on the listed cases in which a justice participated and are rounded to the nearest one-tenth of one percentage point. ^ In Briscoe v. Virginia, the Court summarily vacated the lower court's decision and remanded for further proceedings consistent with Melendez-Diaz v. Massachusetts, 557 U.S. 305 (2009). ^ In Sullivan v. Florida, 560 U.S. 181 (2010), the Court dismissed certiorari as improvidently granted. ^ In Weyhrauch v. United States, 561 U.S. 476 (2010), the Court vacated the lower court's decision and remanded for further consideration in light of Skilling v. United States, 561 U.S. 358 (2010), handed down the same day. 2009 Term Opinions of the Court, Supreme Court of the United States, retrieved October 4, 2010 .